See Exactly What Your Dentist Sees! After visiting Pasadena Family Dentistry, you’d quickly learn that we put a large emphasis on technology. We do everything we can to improve the quality of the diagnosis, planning and treatment stages of your dental care. 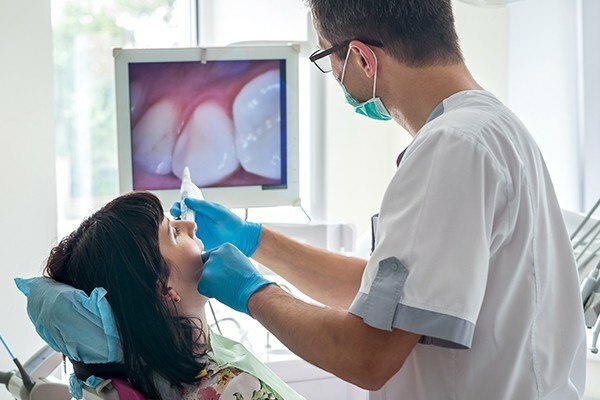 Having more comprehensive X-ray machines, oral cancer-detecting devices and intraoral cameras allow us to provide a much higher standard of care compared to other offices. Some of you may have experienced this technology firsthand, but we understand some patients have yet to do so. That’s why, via our newsletters, we hope that you’ll take a moment to learn about the powerful implications that these otherwise simple devices carry. This month, we’d like to highlight the intraoral camera and the benefits you can expect from it. When it comes to the medical field, there are few steps more important than diagnostics. Without the right information (or enough of it), providing the most effective treatment possible becomes increasingly difficult. 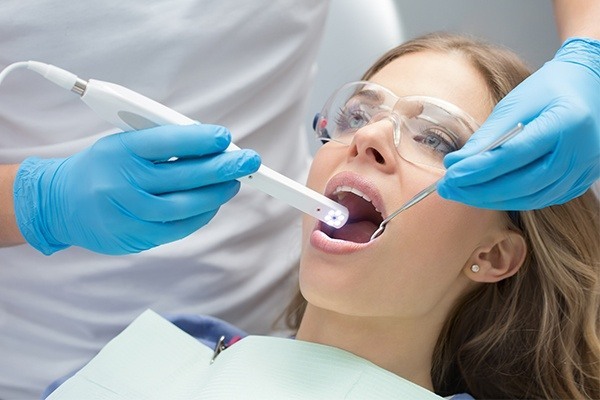 Similar to how digital X-rays help us understand what’s going on underneath your gum tissue, intraoral cameras make it easier to examine the deep pockets of your mouth. As an example, these devices make it easier to diagnose bruxism, a chronic condition involving teeth grinding and clenching, typically while sleeping. The sooner we can diagnose your bruxism, the sooner we can recommend a nightguard to protect your teeth while you sleep. 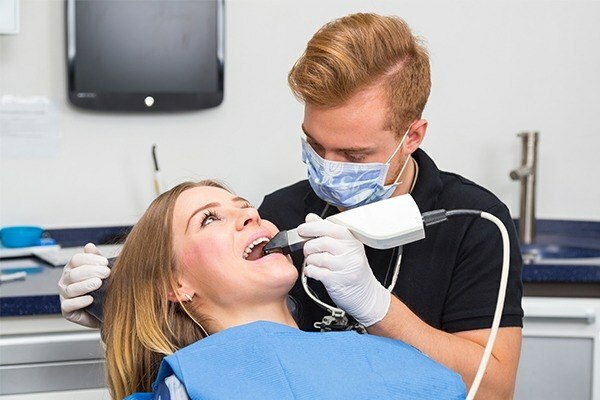 Furthermore, if there is a specific area of your mouth that is experiencing more issue than other areas, we can monitor the area more closely in the long-term. This is often the case for gum disease or decay after you’ve already received treatment. If you’ve ever been skeptical of needing a certain dental treatment in the past, we can understand why. Even though other doctors expect you to take their word for it, we believe that keeping you fully informed on your need for dental care is a very high priority. That’s why when we take high resolution photos with our intraoral camera, you can easily view them on a nearby monitor for your convenience. Being told that you need a dental crown or filling vs. seeing and understanding why you need one are two completely different things. Additionally, it couldn’t be easier to prove to insurance companies that you need a dental crown or filling. With more comprehensive evidence, your treatment can begin sooner and your reimbursement for care can be filed more quickly. 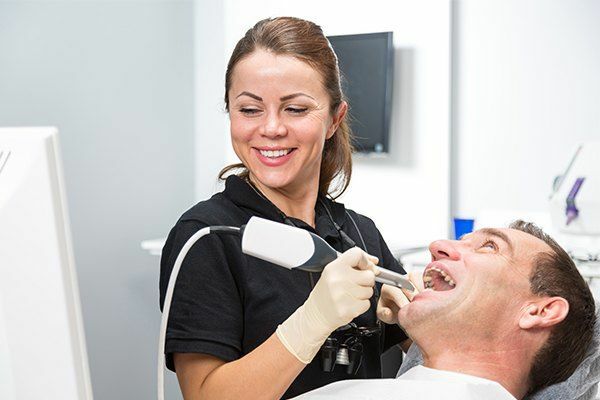 We’ve already discussed how intraoral cameras improve our ability to provide you treatment. But these cameras aren’t only ideal for creating more robust treatment plans. They also make it easier to manage the effectiveness of treatments over time. If one treatment isn’t working, intraoral cameras help us confirm this more quickly. This is often the case for those with gum disease or those with a higher risk of tooth decay. Determining the effectiveness of treatment means establishing a baseline that acts as an effective point of reference. Some treatments require multiple appointments to complete, which means having as much detail as possible on how your oral health changes over time is essential to confirming whether or not we need to take a different approach. In conclusion, an intraoral camera doesn’t just make providing dental care easier on us. It also, more importantly, improves your overall dental care experience. You’re more informed on why you need certain treatments and we can create treatment plans that meet those needs. No longer are you forced to simply take our word for it; you’re fully involved in your treatment needs and progress. If you haven’t experienced intraoral cameras yet, we hope that you get to during your next visit in the near future!